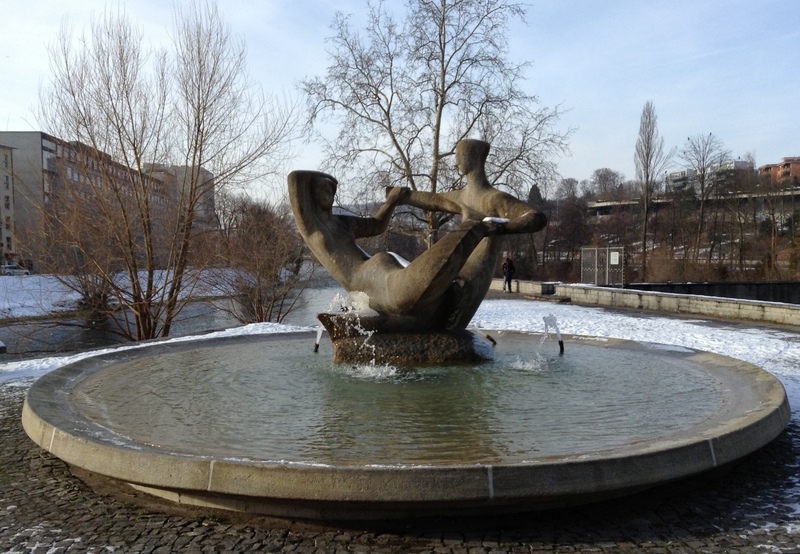 The one in Platzspitzbrunnen, the green triangular promenade where the Sihl and the Limmat rivers meet, nowadays known as the Landesmuseum [Swiss National Museum] park. The work of Winterthurer’s Robert Lienhard and made of Castione granite, this fountain was set in 1955. It represents the confluence of the two rivers, as personified by a dance of two nymphs called the Naiads. Finally, a big thank you to A.,who showed me where this fountain was hidden and told me the story about Needle Park.